Imagine that you were having a new home custom built for you. You hired a premier architect to create a fresh, exciting design that perfectly complements your personality and lifestyle. You invested in the best construction materials and equipment, and you contracted an experienced crew to make your dream home a reality. The only problem is that the land you’re building on is comprised of extremely soft soil, and there’s a good chance that your home – no matter how beautifully designed and constructed it is – will not be able to stand for long. In reality, if you were building your dream home, you would certainly make sure that you had a proper foundation on which to build, right? It makes perfect sense that you can’t have a beautiful home without a strong foundation. Likewise, you can’t have a beautiful smile without a strong foundation. Through modern cosmetic dentistry, it is possible to transform even the most aesthetically flawed teeth. However, if the underlying gum and bone tissues aren’t healthy, those cosmetic improvements won’t last long. At The Silverstrom Group, our experienced dental professionals take a comprehensive approach to treating their patients. Drs. David and Gary Silverstrom offer a full range of surgical and non-surgical periodontal treatments at their Livingston, New Jersey practice to ensure that their patients’ smiles are as healthy as they are attractive. If you are going to make a substantial investment in the appearance of your smile, you want to make sure that your results will last. Likewise, if you are currently pleased with how your smile looks, you want to make sure that your oral health will allow it to remain beautiful for years to come. Whatever your needs or goals, our team at The Silverstrom Group has the skill, experience, and tools to help you achieve and maintain optimal periodontal health. The first line of defense against gum disease is a good oral hygiene regimen comprised of daily brushing and flossing, along with twice-yearly visits to the dentist. When plaque and tartar are allowed to build up on the teeth, however, deep cleaning may become necessary. Deep cleaning, in the form of scaling and root planing, removes this plaque and tartar from the surfaces of the teeth and targets bacteria below the gum line and along the roots of the teeth. In the earliest stages of gum disease, known as gingivitis, scaling and root planing may be sufficient to controlling the disease and restoring oral health. Scaling is the process by which plaque and tartar are removed from the surfaces of the teeth, while root planing involves the smoothing of rough spots on the tooth root where germs often find refuge. Scaling and root planing are usually accompanied by laser periodontal treatments at our Livingston, New Jersey practice to ensure the best results possible. Traditional scaling and root planing are far more effective when augmented by laser therapy. At The Silverstrom Group, we use a state-of-the-art diode laser to kill harmful bacteria at the gumline and on the roots of the teeth. Laser periodontal therapy is generally painless, but remarkably effective at targeting bacteria, even more so than antibiotics. By combining scaling and root planing with laser periodontal therapy, it is possible to restore healthy attachment of the gums to the teeth, further reducing the likelihood of future serious gum problems. In the hands of our experienced dental team, laser periodontal therapy is extremely safe and an invaluable tool in the fight against gum disease. For patients who have entered the more advanced stage of periodontal disease, known as periodontitis, surgery may become necessary. Fortunately, in addition to its non-surgical applications, our state-of-the-art dental laser can be used to vaporize damaged gum tissue with minimal bleeding, swelling, and post-procedural discomfort. Laser gingivectomy allows our dentists to remove disease gum tissue and pockets between the teeth and gums, reversing many of the effects of periodontitis and restoring health to the area. Our dental laser can also be used to remove excess gum tissue for cosmetic purposes, serving as an effective solution to a “gummy” smile. Drs. David and Gary Silverstrom use their finely tuned eyes for aesthetics to create a natural-looking new gumline that reveals more of the teeth and perfectly complements the smile. Cosmetic gum reshaping is among the most popular periodontal treatments available at our Livingston practice and is commonly combined with other treatments as part of a comprehensive smile makeover plan. Infection, injury, and tooth loss can all lead to the degradation of the delicate soft and hard tissues that support the teeth. At The Silverstrom Group, we are able to perform the full range of oral surgical procedures in-house; unlike many other cosmetic dentistry practices, we do not have to refer our patients out for complex oral surgery. This means that we can perform both gum and bone grafts for patients with moderate to severe tissue loss. 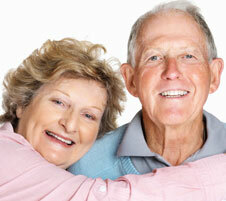 In fact, we frequently perform bone grafting as an adjunct to the placement of dental implants. Whether you feel that your gums are perfectly healthy or you are exhibiting signs of periodontal disease, we urge you to visit The Silverstrom Group for a periodontal screening today. We can help you improve and maintain your periodontal health regardless of the state of your oral health. To learn more about the surgical and non-surgical periodontal treatments available at our Livingston, New Jersey practice, please contact Drs. David and Gary Silverstrom today.